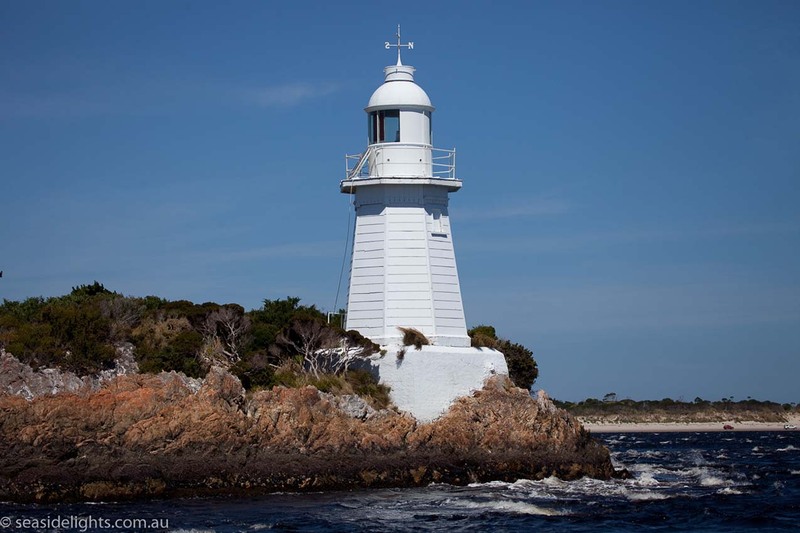 Entrance Island Lighthouse | Lighthouses of Australia Inc. 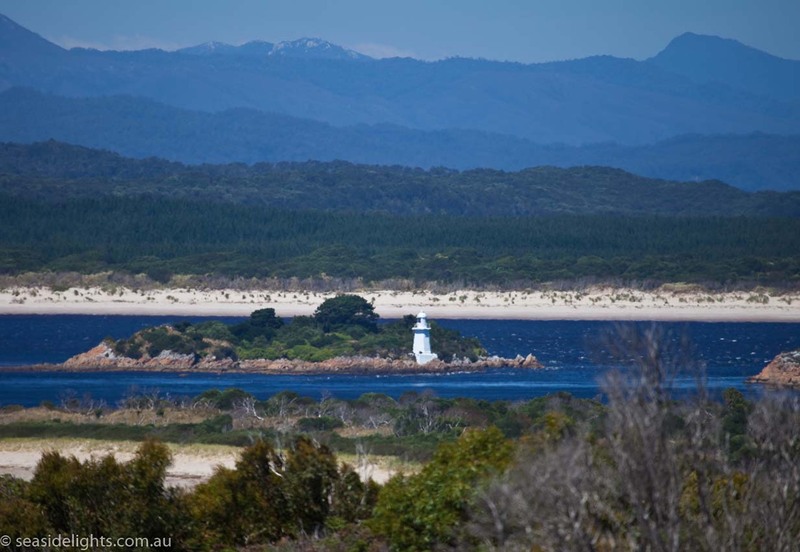 The Entrance Island and Bonnet Island Lighthouses stand at the entrance to Macquarie Harbour, a huge inland sea of about 100 square miles. 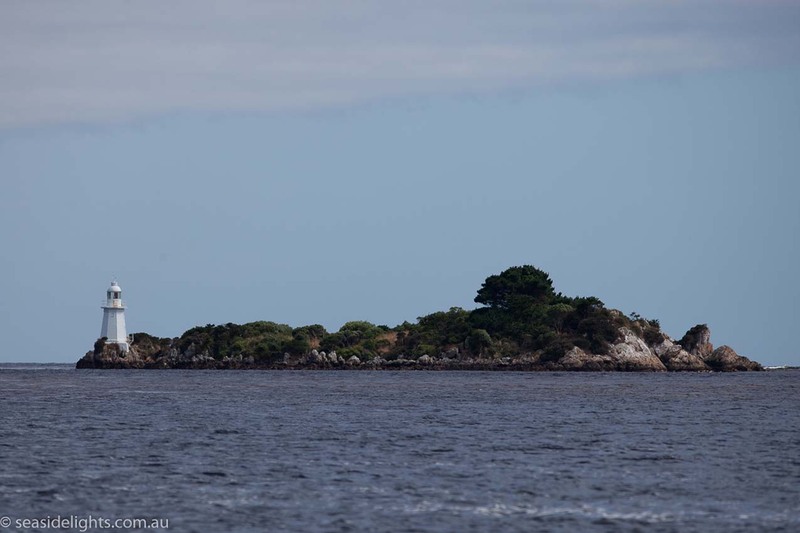 The narrow 120 metre entrance to the huge Macquarie Harbour was discovered in 1815. Within a year, timber cutters moved in and navigating the narrow entrance and its sandbar was an essential hazard to getting the timber out to Hobart. A signal station was erected near Cape Sorell in 1822 to indicates conditions entering the harbour. It was manned by convicts from the newly established penal settlement at Sarah Island. The conditions were so bad at the new Sarah Island that the convicts named the entrance to the harbour Hells Gate. Other records indicate the name was used due to the enormous rush of the tides through the entrance to the harbour which can create very dangerous conditions. In the 1890’s the discovery of silver and lead at Zeehan greatly increased the traffic entering the harbour works were taken to improve the entrance. In 1891, a light was exhibited from two white six sided wooden towers, one on the western side of Entrance Island, and the other on Bonnet Island. Also a breakwater was constructed at Hells Gate to check the sandbar and in 1899 a light was constructed a Cape Sorell. The Strahan Marine Board purchased a dredge in 1909 and continued to improve the entrance so that many large vessels could enter. The Entrance Light was powered by gas until 1977, when solar panels and batteries took over. The light was never manned, although an officer of the Strahan Marine Board was stationed at Strahan until 19 May 1970, when the Hobart Marine Board took over. The weatherboard cladding was renewed in 1989. This lighthouse was never manned. The lighthouses can be reached by boat from the port of Strahan. There are regular tours of Macquarie Harbour that include the lights.